With Outlook festival now only a matter of weeks away and some of the strongest ticket sales to date, the kings of the Croatian party scene are throwing a special warm up party in Shoreditch's Ace Hotel this Sunday 2nd August. Split into three parts, the event is being thrown in conjunction with Just Jam, Knowledge Area, and Work It. 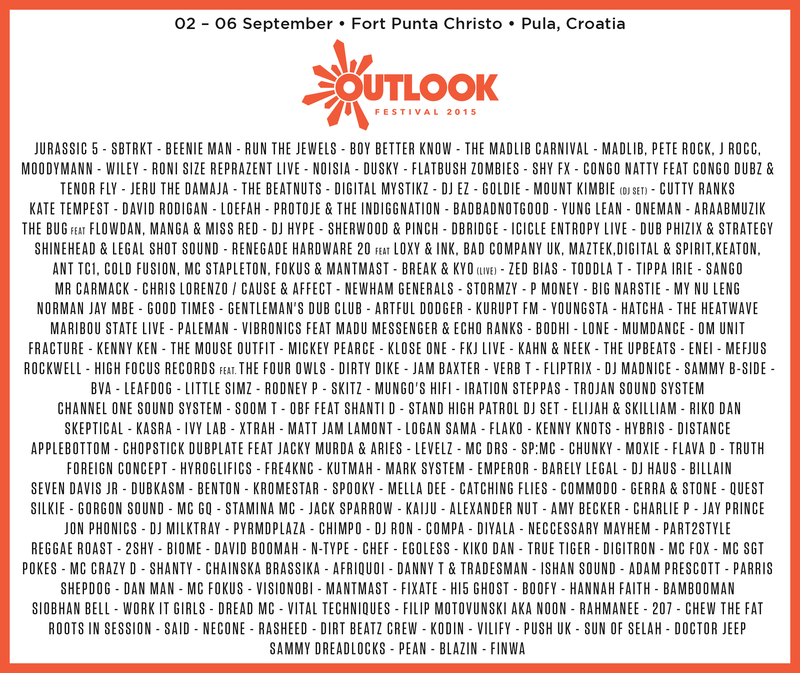 If you're wondering what Outlook is all about then this is a must. For an education in production and other industry insights make sure you head to the Knowledge Area during the day where there will be demonstrations from Native Instruments, SubPac and ROLI Seaboard. Later in proceedings Just Jam will host a live stream 7pm - 11pm with Paleman, The Heatwave, Benton, Jamzs and General Courts, Tim and Barry and more. The night will be coming to an end at around 3am in Ace's basement courtesy of Capital's Work It session, featuring Siobhan Bell, Blackfoot Phoenix, Crackstevens B2B Larry B and the Work It Girls. If you want to attend all you have to do is send a quick email to promotions@outlookfestival.com to apply for guestlist and keep those fingers crossed!